The 3-day meeting was attended by over 80 participants representing various stakeholder categories: government (Federal Ministry of Agriculture and Rural Development [FMARD – Project Coordination Unit, PCU], Ogun State Ministry of Agriculture; national agriculture research institutions [NARIs] (Agriculture Research Council of Nigeria [ARCN], universities); CGIAR centers (IFPRI, ICRISAT, ICARDA, CIP, AfricaRice, IITA); development partners (donors and technical partners); farmer associations; and the private sector. 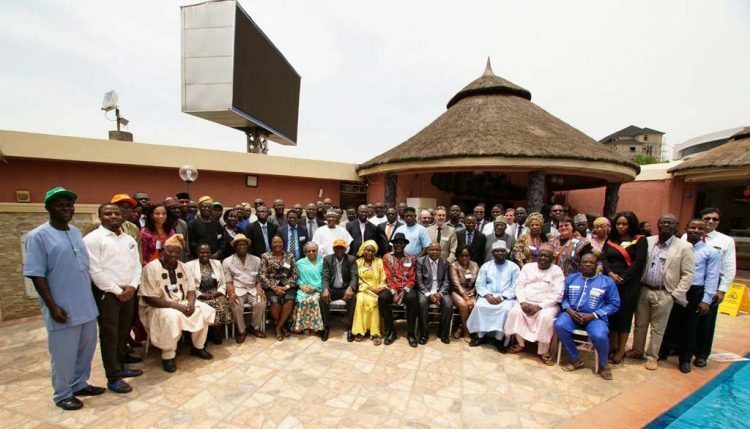 These diverse agencies in the country working on agricultural research for development include the national agriculture research systems (NARS), federal and state government universities in agriculture, international agriculture research institutions (e.g., CGIAR), and private sector institutions. Each of these institutions undertakes various research projects and programs in agriculture to improve overall economic development, food and nutrition security, and the livelihoods of farmers and communities, among other goals. However, coordination, harmonization, and collaboration across the different institutions and sectors working on agriculture and related sectors in the country is limited. While some progress has been made in these areas, the impacts have been diverse and disjointed. This makes it difficult for significant impacts to be achieved in alignment with the country’s strategic goals as set out in Nigeria’s Agricultural Promotion Policy (APP or the Green Alternative). In her opening remarks, Dr Aisha Ndayako-Mohammed, Head, PCU, FMARD, spoke about PCU’s role in coordinating projects that support agriculture and noted that the purpose of the meeting was to “address the gap between research outputs and the linkage to Government policies and objectives.” All levels of stakeholders from agricultural research institutes to extension to farmers were involved in the process of economic development as part of the Government’s Economic Growth and Recovery Plan (EGRP). 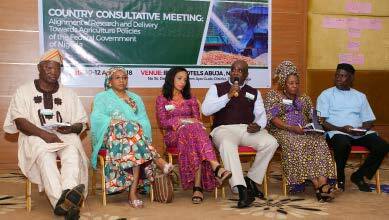 At the end of the meeting, it was clear that an empowered Agricultural Research Council of Nigeria should be the driving force that would align agricultural research to the Government’s Agriculture Promotion Policy. Support for the alignment process would also come from a Data and Knowledge Management platform, an M&E system, the 0FMARD, the private sector, and a change in mindset and culture towards alignment to government goals. The meeting was organized under the auspices of FMARD and led by PCU. ARCN and IITA are the technical implementers.